Businessman, MLA (1883-1886), MLA (1886-1888), MLA (1888-1892), MLA (1892-1895), MLA (1896-1899), MP (1904-1908). Born at Stradhally, Ireland on 18 February 1848, son of Samuel Jackson and Elizabeth Sutcliffe. Two years later, he was brought to the Brampton area west of Toronto, where his father established a dry good store. The young Jackson departed for Manitoba in 1871 via the St. Paul route. Other members of the party included John H. Bell and his wife; James, William, and Jack Harrower; John Bryce; Andy Palmer; Harry Jickling; William McDougal; R. Dent and son; Roger Bell and his wife; John Hedley; photographer James Penrose; and John Scott and his wife. In 1872 he worked as a clerk in the Winnipeg dry good store of John Higgins but, four years later, he left Higgins to join Cue, Stobart and Company. He was then sent abroad to London to buy import goods for the retail trade. Upon his return he bought in with his old employer, becoming a partner in the firm Higgins, Young and Jackson. Their business was apparently the first to ship grain out the west to eastern Canada. Jackson maintained the partnership until he relocated to Stonewall where he bought a plot of land, and subdivided it into lots. Politics was very much in Jackson’s blood. Between 1877 and 1880 he served as an alderman in the young city of Winnipeg. He then turned to provincial politics and was elected six times to the House, in 1883, 1884, 1886, 1888, 1892, and 1896, during which period he served two terms as Speaker of the House. In 1899, he was defeated by Isaac Riley. In 1904, he was elected to the House of Commons for the constituency of Selkirk, but was defeated in the 1908 general election by G. H. Bradbury. On 27 February 1878, he married Ida Isabel Clark (1860-1945), daughter of Albert H. Clark and Isabella Sifton, and sister to O. H. Clark. They had six children: Maude Kathleen Jackson (1878-?, wife of H. A. Arundel), Anna C. Jackson (1882-? 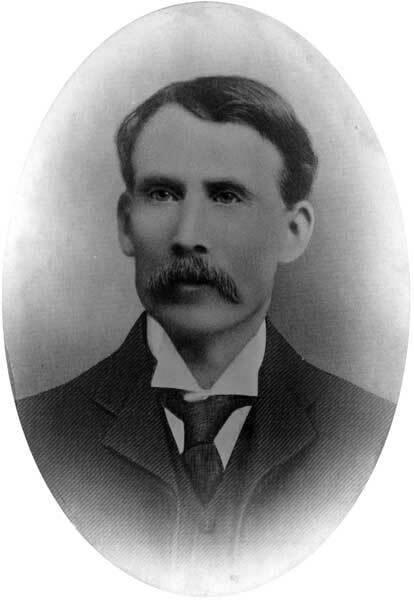 ), Samuel C. Jackson (1884-? ), Frederick W. Jackson, Clarence W. Jackson (1890-? ), and Ida Marguerite Jackson (1891-?, wife of C. R. R. Bunn). By the time of his death on 29 May 1942, at the Winnipeg residence of his son, he had become one of Manitoba’s elder statesmen and an institution in the town which he had done so much to found. He was buried in the Stonewall Community Cemetery. “Samuel Jackson, aged 94, is dead,” Winnipeg Free Press, 30 May 1942, page 1. This page was derived, in part, from the above article by Graham A. MacDonald. We thank Hope Smith for providing additional information used here.